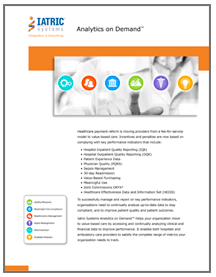 Analytics on Demand for Meaningful Use and Clinical Quality Measures helps your organization transition to value-based care by continually analyzing and tracking key performance indicators. 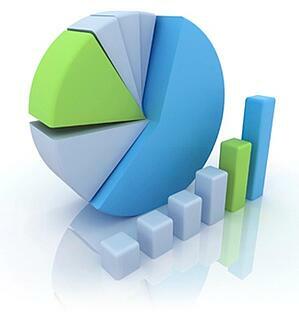 to satisfy program requirements for Meaningful Use and Inpatient Quality Reporting. by automating the complicated and multiple calculations to comply with regulations. using real-time dashboards and drill-down analysis. Analyze and track 29 electronic Clinical Quality Measures (eCQMs) for Eligible Hospital. 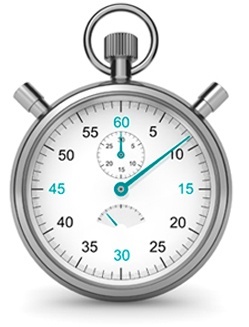 Prepare for Meaningful Use attestation with automated tracking for Eligible Hospital. Assistance with eCQMs to quickly and accurately generate the QRDA 1 files from your EHR to your quality vendor. 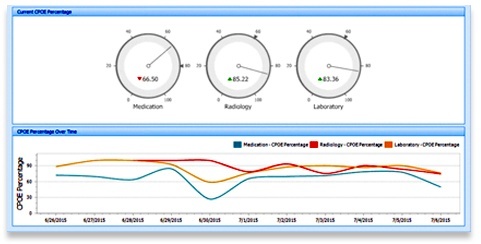 Iatric Systems develops customized dashboards to meet your healthcare organization's value-based care needs. To help you transition to value-based care, our experts will analyze your workflow gaps to help you improve quality scores and performance metrics.